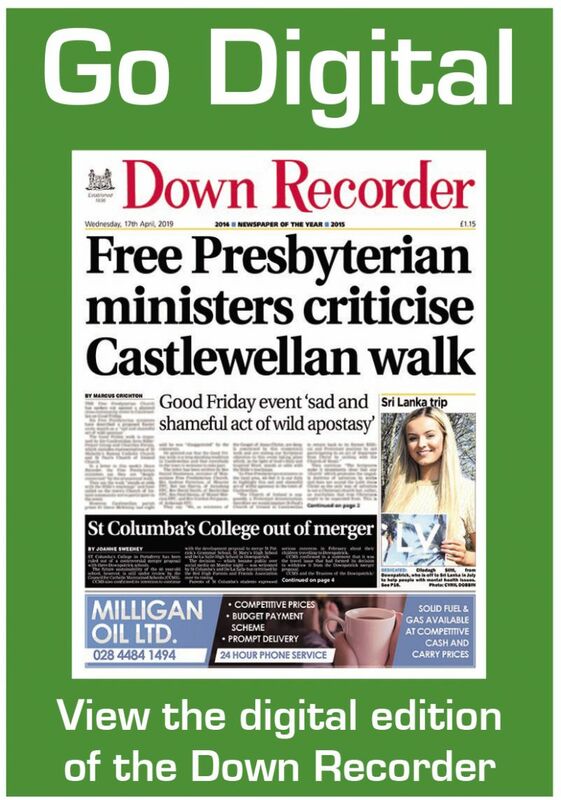 30 May 2012 A DOWNPATRICK charity has made its way into the Guinness Book of Records after creating the world’s biggest tombola stall in Castlewellan last summer. 30 May 2012 EDUCATION officials will formally intervene in the running of Blackwater Integrated College in Downpatrick after inspectors warned the quality of education in most areas inspected was “inadequate. 30 May 2012 WALKERS and residents in the Mournes are being urged to be vigilant following a malicious fire in the area, which burnt on three days over the past week. 30 May 2012 A NEWCASTLE councillor is seeking an urgent meeting with the National Trust over its plans to axe a special entry pass to Murlough Nature Reserve. 30 May 2012 THE Education Minister will be asked to seriously consider the need for new facilities for Down High School, following a meeting to discuss the issue at Stormont.